May 27, 2017 December 14, 2017 Millicent Stephenson SaxLeave a Comment on Where Are All The Female Musicians? Where Are All The Female Musicians? 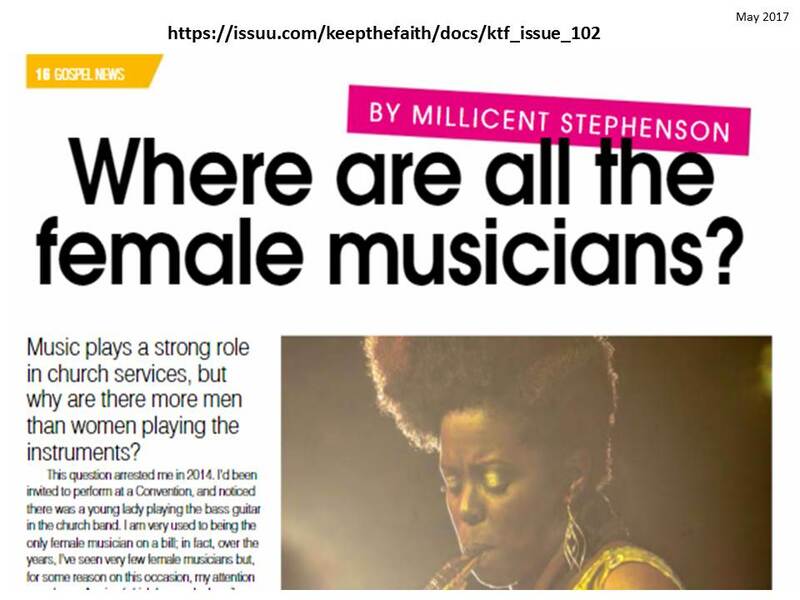 Millicent’s article ‘Where Are All the Female Musicians?’ received a double page feature in ‘Keep the Faith’ Magazine Issue 102, which went live this week. The link to the article on page 16 & 17 is below. The article explores the shortage of women in church music despite the fact that most of the congregation is predominately female.